Yesterday (April 7), it was the date says Dell to officially launch its Streak gadget in the Philippines ;that’s almost 9 months of delay compared to international launch but it's timely before Galaxy 7 will arrive. 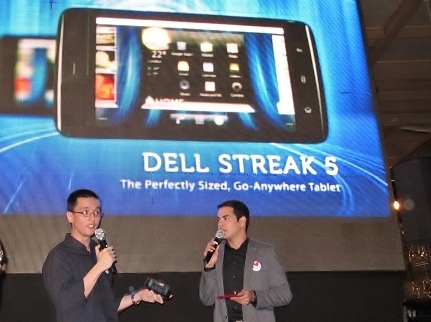 Below is Alvin Patrick Go, brand manager for client product solutions at Dell, (left) talks about the company's firs tablet offering with the event's host during the product launch in Makati City. What we are going to expect with Streak 5? 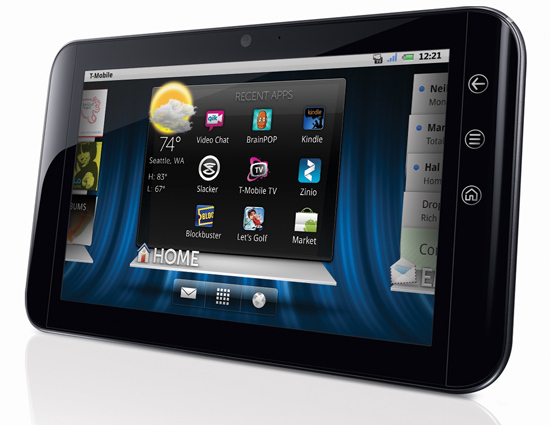 Dell Streak 5 is a hybrid that can both function as a tablet computer and Smartphone comes with 1 GHz Qualcomm QSD 8250 Snapdragon ARM processor, Android 2.2 Froyo OS, WiFi, 3G, 2 Cameras and multi-touch capable with 5-inch screen bigger than smartphone but smaller than tablet. Dell Streak 5 is a versatile gadget that you could even make a call on it like in cellular phone. A good 800 x 480 pixel resolution, which you could enjoy web browsing, movie watching, creating docs and playing multimedia files. No SRP yet but we hope it would be cheaper than the coming Galaxy 7 and iPad 2.